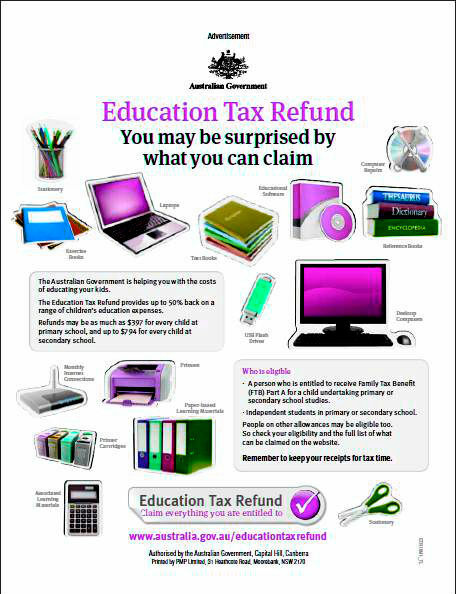 The soon-to-be-buried Education Tax Refund was appalling on just about every level. As the Treasurer last year lauded a different move he said would enable Australians to “throw away their shoebox of receipts” his prime minister was going around the country promoting an extension of the Refund to cover school uniforms. “Now it is extended to school uniforms people should keep their receipts and they will be able to make a claim at tax time,” she said. 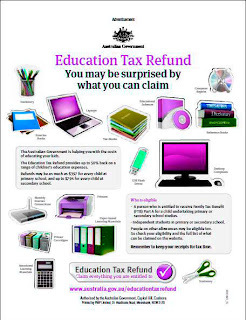 Sold in the lead-up to the 2007 election as a way of getting more educational resources into households, the refund enabled well-advised parents to claim for all manner of purchases they were probably making anyway. Even the advertising slogan read: “You may be surprised by what you can claim”. Among the costs for which families could claim only tangentially connected with education were USB sticks, internet bills and printer cartridges. Its genesis had little to do with education and everything to do with Labour’s attempt to come up with a tax policy in the days leading up to the election that swept Kevin Rudd to power. Lacking the resources of Treasury Labor was worried its figures wouldn’t add up, so it waited until the Coalition’s Peter Costello released his tax policy and then duplicated every part of it but one. The cuts Costello would have given Australians earning more than $180,000 per year were excised and replaced with a refund for parents on Family Tax Benefit A in order to “benefit the education of around 2.3 million Australian school children”. The alternative of actually spending the money on education was tossed aside at the press conference unveiling the scheme... as was the suggestion it would mainly benefit the better organised and informed parents on Family Tax Benefit A, those whose children were likely to need help the least. The replacement payments to be announced on budget night of $410 for each child in primary school and $820 for each child in high school will go direct to all parents on Family Tax Benefit A including the 1 million who didn’t claim what they were entitled to. They won’t much advance the cause of education, but neither did the Education Tax Refund. 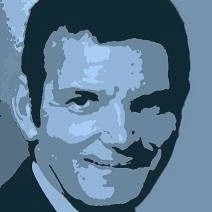 Now I think about it some more, the catchline "You may be surprised by what you can claim" encouraged disrespect for the tax system. It invited people to use an 'education refund' for purposes unrelated to education.
. Worth $820 per year for each child in high school.